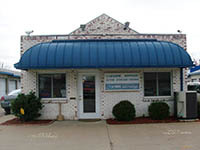 Lakeside Storage offers local and one-way moving trucks. Please call for prices. Lakeside Storage is a family owned business ready to meet all your moving and storage needs. We are open 7 days a week with 24-hour access to all units for your convenience. Please stop by and see us at Lakeside Storage. Site designed and hosted by Metropark Communications, Inc.